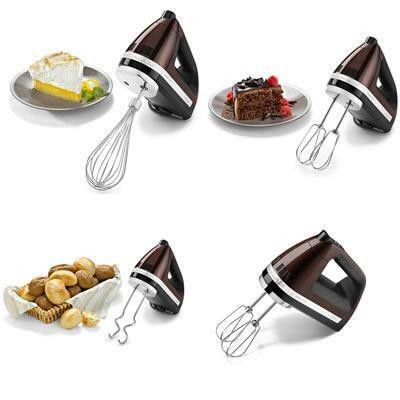 KitchenAid® 9-speed Architect® Series hand mixer. 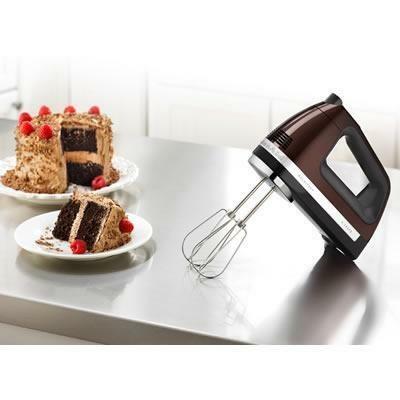 This stylish hand mixer features a 9-speed electronic digital control that includes four slow stir speeds and two high whip speeds. 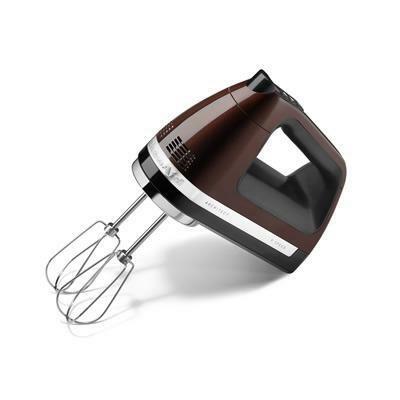 An electric mixing sensor adjusts to the resistance of what you're mixing for smooth, consistent operation. Other Features Architect Series Design. Clean Touch TM Control Pad. Powerful Lightweight Motor. Included Stainless Steel Dough Hooks. Turbo Beater TM Accessories. Accessory Pouch.